Digital Gold Rush – Let’s Cash In! I hope you are having a good day! 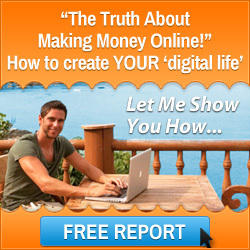 I certainly enjoy my days working online cashing in on the digital gold rush. What’s that, the digital gold rush? 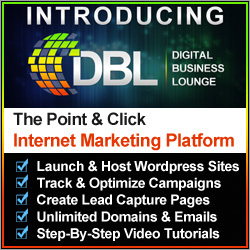 Well, you may know by now, if you have been following my daily blog posts, that I am a member of the Digital Experts Academy, positioned at the top of the product line. 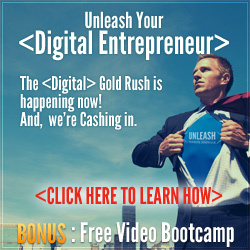 My millionaire digital business mentors are the same… As you can tell from the “Digital Gold Rush” video boot camp, Stuart Ross and Jay Kubassek are also kinda obsessed with the Digital Gold Rush. Did you know that the vendors, merchants, and suppliers (those selling picks, shovels, etc.) made more money than the actual gold prospectors? Did you know that Levi Strauss was one such merchant? He traveled 18,000 miles by ship from New York city to open a merchant business that would import supplies and goods from the family business on the East coast! More recently in 2007, we all know what happened; the bottom fell out of the traditional economy. Those on the cutting-edge profited wildly while most were caught unaware. The Digital Economy was less than 20 years old at that point and as you can see in thinfographic below, it literally EXPLODED with growth. No different than any other time in history, every major recession/depression simultaneously caused a new revolution… (more on this later). This is what’s called the Digital Gold Rush (See below). However, the Gold Rush itself isn’t where the big money is made! This isn’t where the massive wealth creation opportunity lies for the members of our private digital marketing business system, SixFigure Mentors. Digital Marketing Arbitrage Infographic – CLICK IMAGE! Just as I mentioned above, more money was made by the middlemen – the merchants selling picks and shovels to the miners – than those digging, panning, and mining for gold. Do you understand what I am saying here? Are you comprehending the lesson history has taught us already? More wealth was created servicing the Gold Rush than from the gold that was discovered. For example: Don’t dig for gold; instead sell picks and shovels. Don’t pan for gold; instead sell pans or teach people how to pan. A retail merchant (or retailer) sells commodities to consumers (and businesses). A Six Figure Mentors member is such a merchant. A SFM member connects people still struggling in the traditional economy with a solution that will help them make their business successful in the Digital Economy. This solution is called the Digital Experts Academy. In the digital economy, the connection between physical time and space has been severed. The connection between physical, tangible products and value has been erased. Herein lies an incredible opportunity for Six Figure Mentors members. The affiliate didn’t create or produce the product. He/she didn’t stock, ship, or service it either. In most cases, he/she didn’t even create the marketing materials, or process the payment. 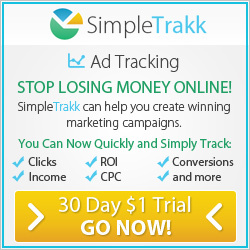 All the affiliate did was connect the buyer with the seller and get paid a good commission. As a member of the SFM, most of the learning curves and costly mistakes are avoided. Instead of learning everything on your own, the SFM teaches you all of the skills, strategies, and techniques you require to become a successful reseller of the DEA product line – potentially earning thousands of dollars a month in commissions. This entry was posted in Digital Experts Academy, Economy, Jay Kubassek, Stuart Ross and tagged digital business, Digital Experts Academy, digital gold ruch, economy, jay kubassek, mark ford, stuart ross. Bookmark the permalink.